The BMW Group has announced its course for future mobility, which somewhat curiously includes both electrification and "clean" diesel engines. 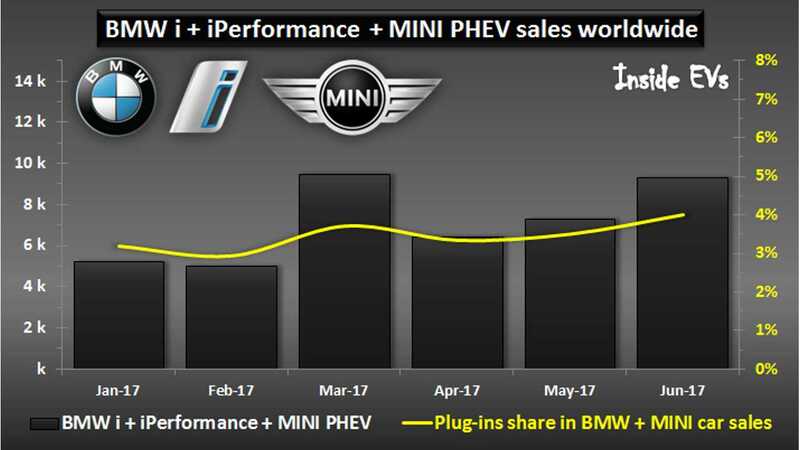 This brings out a lot of mixed emotions for us, as truthfully, we loathe diesel promotion (or really even just straight ICE technology), but at the same time, BMW is also the most advanced "traditional" OEM when it comes to plug-in offerings (9), and overall plug-in market share inside the brand (up to 5%). So we can't hate on the promotion of diesel inside BMW's rapidly shrinking non plug-in business too much. BMW said that this year that will sell more than 100,000 all-electric or plug-in hybrid cars (offering nine BMW i or iPerformance models in total). At the same time, the German manufacturer publicly defends Euro 6 standards diesel, because those engines "are just as clean or even cleaner than petrol engines". 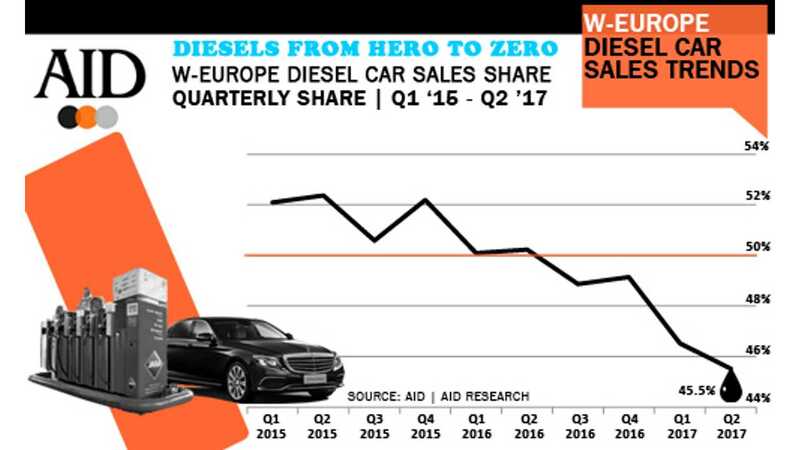 We rightfully can't understand why one would want to promote diesel at the same time as plug-ins, especially considering the fallout from diesel of late (and falling sales), but we suspect it has something to do with putting a brave face on current product offerings...and also supporting those offerings which are too far along in BMW's product development cycle to stop. "However, electrification is not the only sustainable drive solution: “Future mobility will definitely depend on state-of-the-art diesels as well,” said Krüger, “because environmental protection has several dimensions: one of them is the fight against climate change.”"
Well, it's hard to say what the response will be. But again, we reckon that BMW is simply scared about the diesel fade in Europe and having some incongruent products. "Modern, efficient diesel engines ensure lower CO2 emissions and therefore make an important contribution to protecting the environment. In addition, when it comes to many unwanted emissions, diesels are just as clean or even cleaner than petrol engines. This can certainly be said of particulate, hydrocarbon and carbon monoxide emissions, meaning that three of the four major diesel pollutant issues have been resolved and no longer have any adverse effect on air quality. This is why the BMW Group is calling for objective discussions based on facts and scientific evidence. In this context, the BMW Group supports the comprehensive measures of the “National Diesel Forum” aimed at further improving air quality in cities. In addition to these measures, the BMW Group is preparing an EU-wide fleet-renewal campaign which will have a positive impact on resources, the climate and the environment as a whole. Initially until 31 December 2017, owners of diesel vehicles that meet Euro 4 standards or less will be granted an environment bonus of up to €2,000 (amount dependent on model bought) when they trade in their vehicle and purchase a new BMW or MINI. Their chosen replacement must be either a BMW i3, a plug-in hybrid or a Euro 6-standard vehicle with CO2 emissions of up to 130 grams per kilometer (in the NEDC). This special campaign will begin soon, certainly before the end of August. The bonus is in addition to any other government incentives. Averaged across the fleet, BMW Group diesel vehicles emit 40% less NOX than the German average, as reported by the Germany Federal Environment agency in April 2017. These excellent figures are true for both our Euro 5 and Euro 6 vehicles. In addition, experience gained through actual on-road driving between 2010 and 2015 means the BMW Group can offer an additional optimisation of the exhaust-treatment system for 225,000 of the Euro 5 models currently on the road in Germany – at no extra cost to the customer, of course. Furthermore, the BMW Group is investing in the Sustainable Urban Mobility fund and is using the opportunities offered by digitalisation to support major cities to better handle increased traffic volumes, thereby reducing emissions. Based on projects like the strategic partnership with Hamburg on the roll-out of electric mobility and the research project “City2Share” with Munich and Hamburg, the BMW Group is intensifying its dialogue with municipal authorities in order to establish better conditions for increased electric mobility and car-sharing. The BMW Group has repeatedly made clear that its exhaust treatment technologies are very different from others available in the market and the company continues to seek true competition in this area. The company categorically rejects allegations made by some media of non-compliant technology employed in diesel exhaust-treatment systems. “Investigations by authorities at home and abroad confirm that vehicles by the BMW Group are not rigged for testing purposes,” Krüger explained. In addition to the ongoing optimisation of the internal combustion engine, the BMW Group is forging ahead with the roll-out of electric mobility. Moving forward, flexible vehicle architectures and manufacturing facilities will allow the BMW Group to decide at short notice which models and volumes to produce with what type of drive: highly efficient combustion-powered, plug-in hybrid or fully electric. In 2017, the BMW Group expects sales of its electrified vehicles to exceed 100,000 for the first time in a single year, with the all-electric BMW i3, BMW i8, BMW iPerformance plug-in hybrids and the plug-in hybrid MINI Countryman all contributing to the figures. The company’s electrified range currently comprises nine electrified vehicles and will be further complemented in 2018 by the all-new BMW i8 Roadster. Shortly after that, battery-only solutions will be rolled out across the BMW Group’s core brands, with Plant Oxford starting production of the battery-powered MINI in 2019, and the battery-only BMW X3 following in 2020. The following year, 2021, will see the launch of the BMW Group’s new technology spearhead: the all-electric BMW iNEXT. This will be manufactured at Plant Dingolfing – a decision that underscores the importance of Germany as a base for future technologies and a centre of excellence for electric mobility." To us, just the sheer word count BMW is using to attempt to defend its position of diesel alongside plug-ins in the future is enough to give us pause. But then again, we likely aren't the most objective outfit on the subject to draw a final conclusion...just like BMW.